Dr. Nagappala is board certified in Family Medicine. She has completed her residency at William Beaumont Hospital - Grosse Pointe in 2002. She also has a Master's degree in Public Health, Health Management, and Health Policy from the University of Michigan in Ann Arbor. She is a member for the Michigan ... Read More Academy of Family Physicians and the American Academy of Family Physicians. 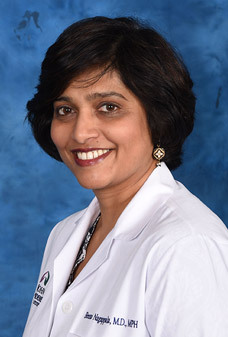 Beena Nagappala, MD offers services at multiple MI locations.